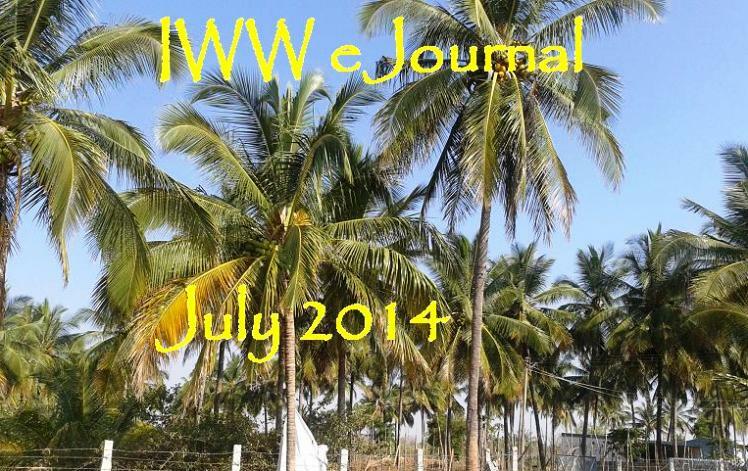 Welcome to July 2014 issue of IWW eJournal. We had received several submissions last month, and these are the new writers chosen from them - Smitha Abraham with her short story, Preethi Burnett with a poem, and Anantha Bora with a short story. Thank you for joining our team. Your submissions for the next month (August 2014) may please be sent to us, using the new submission form . If you are unable to send it through this form, please contact us. Check out the most viewed submissions published in June 2014 here . Introducing DigiFlip PRO Tablet! We have recently launched Flipkart's own white-label Android Tablet, the DigiFlip PRO XT 712 at an unbelievable price of Rs 9999 only (with launch offers worth over Rs 9000).